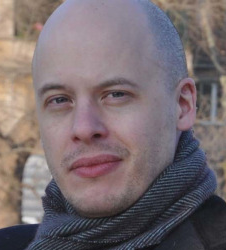 Last month, I had the privilege of meeting a hero of mine, Lev Grossman, at Dragon*Con and the Decatur Book Festival. He was kind enough to put up with my incessant questions. I hope you’ll enjoy our conversation. Comment below for a chance to win a Kindle copy of The Magicians or any physical book from our stacks. Kate Lechler: I read your book Codex several years ago, for a graduate class exploring the history and idea of “the book.” How did you get interested in medieval books and how did you educate yourself about codicology? Lev Grossman: I don’t think I even knew there was such a thing as codicology before I started graduate school. Because I didn’t have a stipend I took a summer job, which turned out to be at the rare books library at Yale, the Beinecke, where I was sort of apprenticed to the man who ran their modern collection. He taught me the rudiments of describing books properly, and introduced me to the idea that the physical form of books, in addition to being pretty, had history and meaning. You pursued a PhD in comparative literature at Yale. What was your specialty? If you had written a dissertation, what would it have been on? I was interested in the modernist novel: Joyce, Woolf, Hemingway, Kafka. Probably I would have written something making connections between them and the popular novels of the period, the pulps and bestsellers. The modernists were such snobs, they were so keen to separate themselves from popular fiction, but there was interesting cross-talk between high and low fiction. Or that’s what I would have argued. 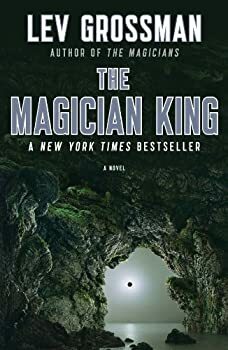 I was surprised when the second and third book of THE MAGICIANS series came out, turning what I had thought was an amazing single book eventually into a trilogy. As a reader, I hadn’t been expecting this because both the first and second books end on what could be a note of completion. When did you decide that it was going to become a trilogy, and did that require a different way of thinking about your writing than a stand-alone novel? In all honesty, I wasn’t sure there would be more books till after The Magicians was published. I thought it would have worked fine as a stand-alone. But once I started having thoughts about a second book, that changed everything. In a weird way it changed The Magicians, even though it didn’t actually alter the text. Things I originally meant as final and closural I started to reread as open and leading somewhere. Even though you created a fantasy land with its own invented rules for the series, you still included a lot of real-world scenes and references. What kind of research did you have to do for this series? Not much. I read some books about sleight of hand, because Quentin is interested in it. I had to look into the migratory habits of geese, and the geography of Antarctica. But there aren’t a whole lot of facts in The Magicians. Or at least not many that I didn’t make up. I especially love the names you’ve chosen for some of your characters: Penny, Plum, Ember and Umber, Quentin Coldwater. Can you tell us how you arrived at some of them, especially Quentin’s? Names are funny — they tend to come to me right away, and only after the fact do I piece together some explanation as to why. Ember and Umber sound similar but have opposed meanings: light (or at least soft glow) and shadow. I liked the elegance of that. Penny has a rather private association for me, not wholly unrelated to Penny Arcade, which is a webcomic I follow. Quentin I liked because it sounded and looked distinctive, and I didn’t have many associations with it — just Quentin Compson from The Sound and the Fury. 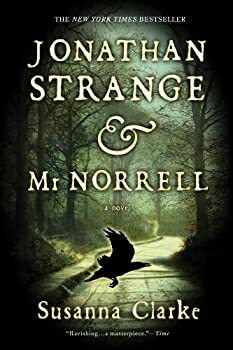 You’ve mentioned elsewhere how important reading Susanna Clarke’s Jonathan Strange and Mr. Norrell was for you in beginning this series. What else did you read along the way that affected your approach to the books? As far as fantasy goes: Neil Gaiman’s American Gods; George R.R. Martin’s A SONG OF ICE AND FIRE (Game of Thrones was out in 1996, I think, so I’d already been reading those books for years when I started The Magicians); Fritz Leiber’s Swords and Deviltry; T.H. White’s The Once and Future King; and of course C.S. Lewis, Philip Pullman, Kelly Link, J.K. Rowling,Piers Anthony and Ursula Leguin. Outside fantasy: Neal Stephenson, Jonathan Franzen, Evelyn Waugh, Ernest Hemingway, F. Scott Fitzgerald, Virginia Woolf. And as the TIME book critic, you are reading all the time for your job. What can you tell us about the relationship between reading and writing? How does reading affect you as a writer? Reading is essential for a writer. Utterly essential. It’s how you train, just as much as actually writing is. You learn what’s been done and what hasn’t. You get a feel for how novels work — you have to know the medium in your bones, because once you start writing one it’s so easy to lose your way. You also wrote a piece for TIME about fan fiction. Have you seen any Magicians fan fiction? How do you feel about it? What would you love to see in some Magicians fan fiction? I know it exists, but I’ve been holding off reading it till the end of the series. Which now it is over, I can start! It makes me so happy that people care enough about the characters and the world to want to play with them. There are tons of gaps I’d love to see filled in — just for starters I skipped over loads of time at Brakebills in order to fit four years into half a book. Speaking of Brakebills, what is a favorite magical invention of yours? (I’m thinking of creatures like the Cozy Horse, or specific spells, or any bit of world-building you felt particularly proud of). I’m very proud of the Neitherlands, particularly the name. I had a private moment of thinking, I bet some fantasy writer is going to read this and think, why didn’t I think of that? And they’ll throw their hat on the grand and jump on it like a cartoon character. I’ve been a life-long reader of sci-fi/fantasy, but always (especially as an academic) felt like I had to downplay that love, that SFF wasn’t as legitimate as other kinds of fiction. You (and other authors, like Susanna Clarke, China Mieville, Kelly Link, Jeff VanderMeer, etc.) are writing wonderful literary fantasy, and you’ve spoken elsewhere about how the boundary between genres used to be a lot less important than it is today. What do you think that SFF-proponents in the academy and in the literary world can do to foster a change in attitude towards genre fiction? What has to happen is, scholars have to figure out how to write about genre fiction well — how to create a body of criticism and theory that shows people how culturally central genre fiction is. People write dissertations about books of poetry that are read by hundreds of people. Surely there’s something to be said about novels that are read by millions. But I’m not sure the academy (or anybody else) has figured out what it is and how to say it. Not that it’s easy. Genre fiction is much more about plot than it is about language, and plot is very, very hard to write about critically. Our critical vocabulary is much more geared toward analyzing words and sentences than it is toward analyzing narrative arcs and loops. 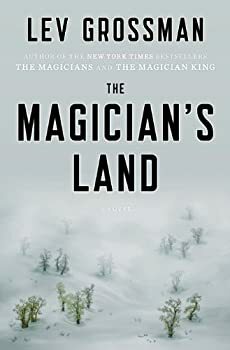 THE MAGICIANS trilogy is also being developed into a television show for SyFy, for which you are a creative consultant. Did you ever expect your work would make it to Hollywood? What has been surprising about the process of having your books adapted for a different medium? I always wanted it to happen and never thought it would. It was a fantasy that I thought would stay in the realm of fantasy. It’s so utterly strange to see other people working with your characters and ideas — being a novelist is about being in control of everything. You’re underwriting it all — you’re the one making the case that these things you’re writing about are plausible and worth believing in. To see other people taking up that job is strange and wonderful beyond belief. Scary, too. In your latest novel, The Magician’s Land, a character is wooed back into human existence with bacon and champagne. If you came back into the world from another dimension, where would you want to go, what would you want to eat, and what movie would you like to watch first? I would take a long hot shower — good showers are fundamental to my sanity, and I have a feeling they’re rare in the multiverse. Then I would retire to bed with a large, high-end pizza — plain, nothing fancy — and watch Groundhog Day. Bill Murray: also fundamental to sanity. Here’s a question for you, from the writer-in-me. As far as I know, you don’t have an MFA or a degree in creative writing. How important is having a writing community — people to read and give feedback and support — to your process? And how would you recommend non-MFA writers develop their own writing community if they aren’t part of a program where that comes built in? I don’t regret not going to an MFA program. I applied to about half a dozen one year and didn’t get into any, and I was pretty disappointed at the time, but I’m not sure it would’ve been the best place for me to develop as a writer. I needed to figure some things out on my own for a few years. I do wish I had more of a writing community though. I don’t have a lot of friends who are writers, so when I have a chance to meet writers, like at a festival, I talk as much shop as I can. I honestly don’t know how one develops a writing community. Twitter? Thanks for spending time with me, Lev! I can’t wait to see what you do next. Readers, comment below to win a Kindle copy of The Magicians (the first book in Grossman’s trilogy) or any physical book from our stacks. Great interview, Kate. Very interesting. 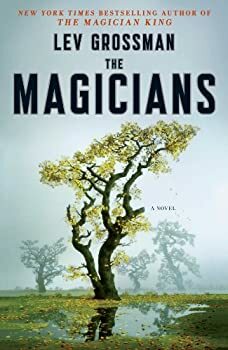 I still have not read The Magicians, but it is on my list. I have not read the Magicians Trilogy yet, but I’ve heard a lot of good things about it. It must be good if its been picked up for a tv show. Nice interview, looking forward to finishing this series. Really interesting interview of a unique writer. I read the entire “Magicians” series–the 3 books, plus a novella about Plum in a short story collection. Really enjoyed all of them. Lev Grossman is an excellent writer. His prose is elegant and subtle, his characters believable. 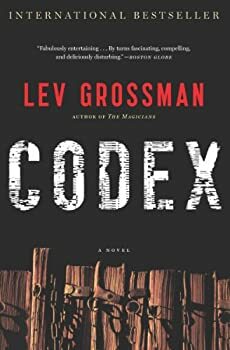 I read and really liked “Codex” too. I’ve been wanting read this series but haven’t gotten around to it yet. I read the first of this series but never got around to finishing it. perhaps I should read it again someday. Mona Temchin, you have won your choice of a physical book from our stacks. or a Kindle copy of The Magicians.